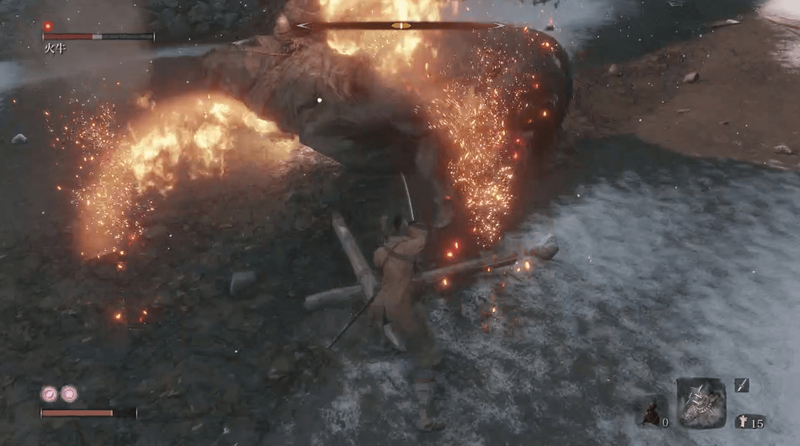 Check out this guide on how to beat the Blazing Bull boss in Sekiro: Shadow's Die Twice. Recommended Prosthetic Tools and Items, Blazing Bull Attacks & Tips & more. Check Out All Boss Fight List Here! 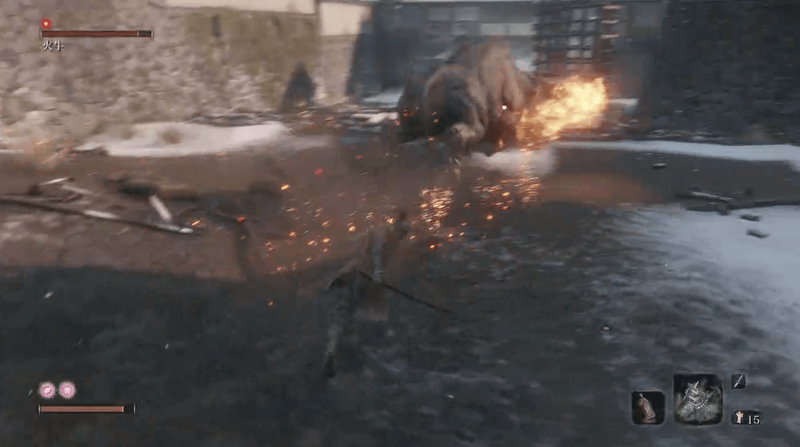 Using the Shinobi Firecracker will greatly stun the Blazing Bull to open chance for attack. In order to acquire the said Prosthetic Tool. 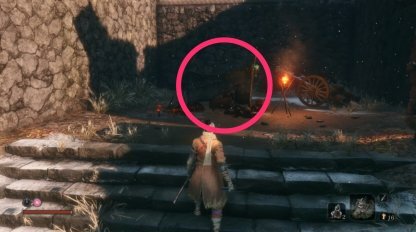 Head to the Sculptor's Idol near the Castle Gate and purchase "Robert's Firecracker" from the merchant. To make sure your combat isn't interrupted, deal with the fodder enemy prior to fighting with the Blazing Bull. You can sneak behind him for a stealth deathblow. 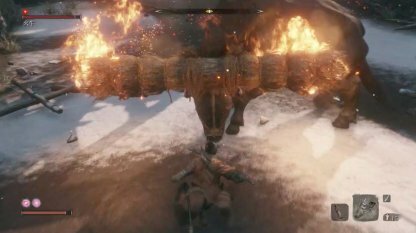 As it is quite difficult to evade Blazing Bull's attack by jumping or dodging when he is rushing on you, you should just dash to the side. After you managed to avoid its charge, start chasing him right away. You will have a chance catch up with him and deliver few strikes to his hind. 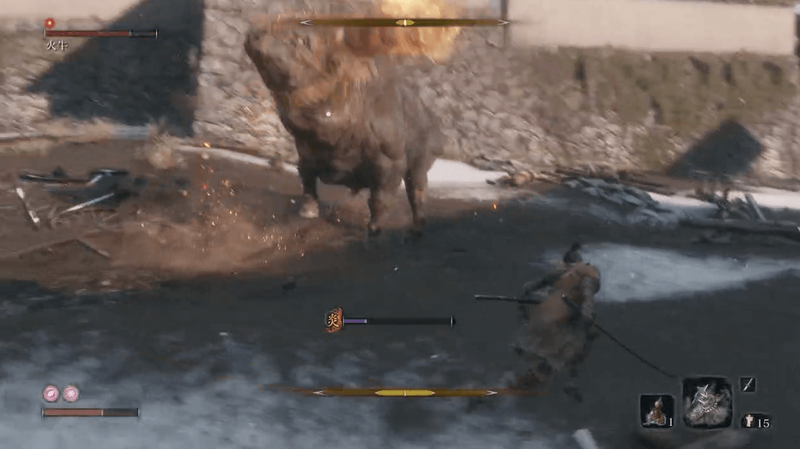 After his charge, the bull will attempt to turn around to face you, use this chance to aim your attack for his face. 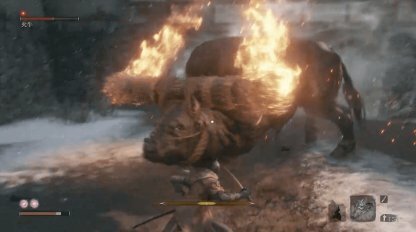 You can cause the Blazing Bull to flinch by striking his head, opening window for a follow up attack. Use your firecrackers to stun Blazing Bull. 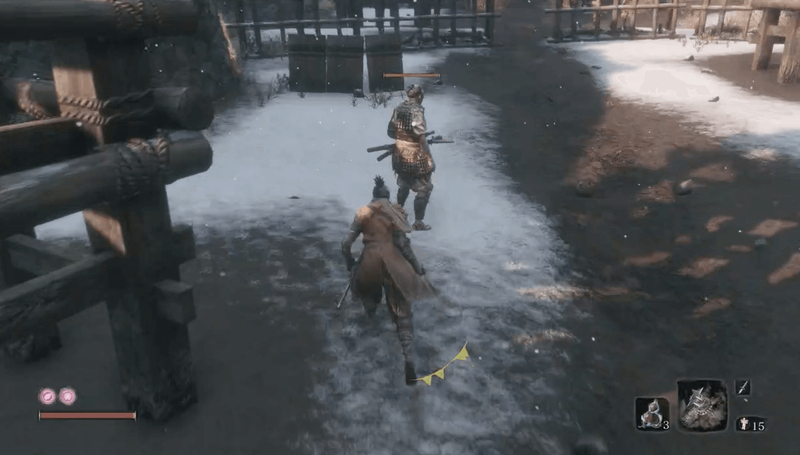 As he stands and falls back down, stab his head with a charged stab attack (press and hold R1). Bull charges repeatedly at the player up to 3 - 4 times. 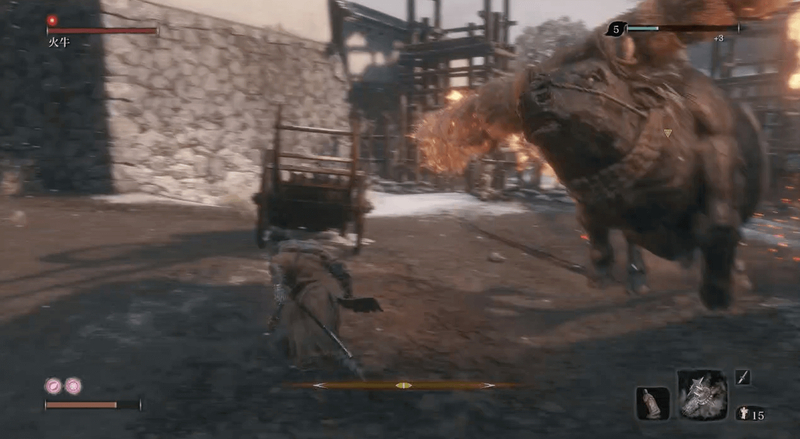 Dash to the side to evade his charge, and aim for a counter attack by chasing after his hind. The bull will swing up his head to strike. This move is relatively easy to avoid by stepping to the side or back. When the bull swipes at you with his head, step back to move out of his reach. It often attempts this attack when you are able to catch up behind him.